Making a photograph with an Etch A Sketch was not exactly a snap. 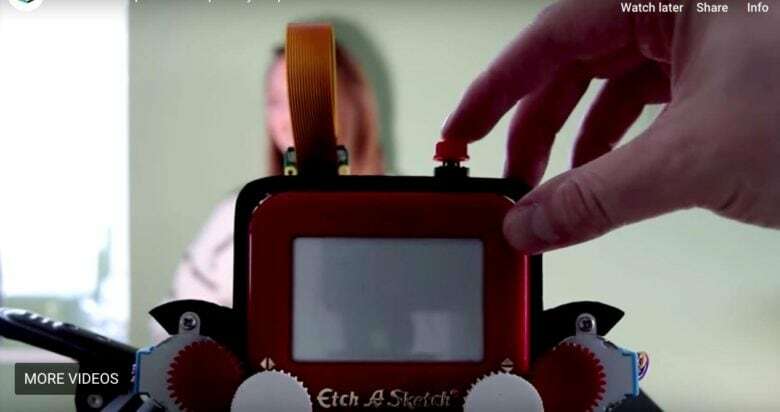 The Etch A Sketch has had a Hall of Fame career, but little has changed with the red-framed mechanical drawing toy. Then Martin Fitzpatrick got a hold of the white knobs – and used the toy to take a picture. 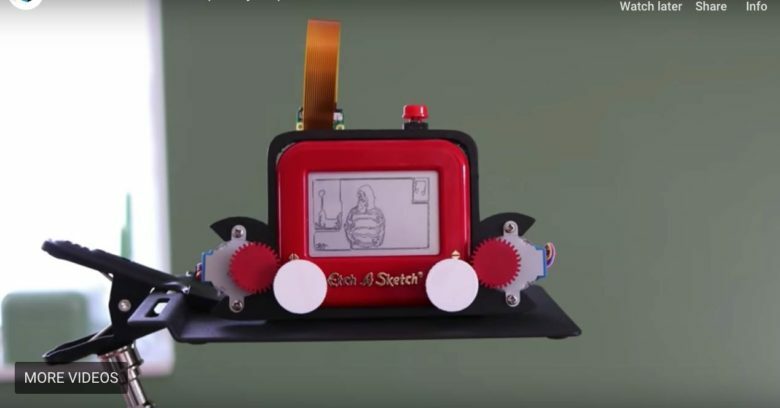 Fitzpatrick, a self-taught programmer and the host of Two Bit Arcade, equipped an Etch A Sketch with a Raspberry Pi Zero-powered camera, added a computer drawing module, an open-source machine learning vision program and a 3D-printed housing with motorized gears to turn the knobs. The result of the image captured by Fitzpatrick’s Etch A Snap was far from instant. It took an hour for the machine to draw the image, which turned out less crude than the average doodle on the toy. Fitzpatrick’s Frankenstein translated basic broad shapes fairly close to perfect. Fine details like the facial features and what appeared to be an elongated cat sculpture in the background got a little lost. But at 1-bit and 240×144 pixels, there’s plenty of room for improvement. This first-gen Etch A Snap does not offer a feature to share the image on Instagram. There’s no way to save it, either. To take another picture, you must shake the toy to clear the screen. The Etch A Snap is not for sale however, Fitzpatrick has a detailed article on his website with instructions, 3D files for parts and code files in case anyone wants to make one. The YouTube video below reduces the drawing/photo-taking time to a minute and a half. The Etch A Sketch was introduced in 1960 and was a hit for decades. It is in the National Toy Hall of Fame in Rochester, New York was named to the list of Top Toys of the 20th Century.